WebAppMate offers specialized CodeIgniter PHP Development services. CodeIgniter is swift and powerful PHP web application framework. We have gained vast experience in serving many customers in various companies. We provide dynamic, robust web applications that are modified as per the requirement through CodeIgniter framework at an affordable expense. Our devoted programmers are highly skilled and provide a detailed description of the requirements to the customers. Personalized designed are offered to satisfy the client’s unique projects demand. 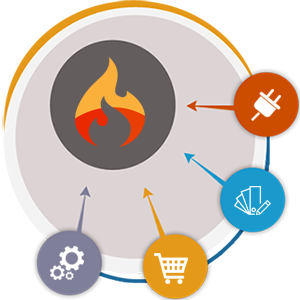 At WebAppMate we offer all excellent features of CodeIgniter result-oriented services and reliable solutions within specified schedule. Get remarkable PHP programs at WebAppMate. We design an exclusive, robust and scalable web application with the help of CodeIgniter expert developers. We offer our clients refined and flawless, high-quality PHP programs. Our proven and efficient expertise, develop perfect web application within specified time and budget as our policy is client-centered. WebAppMate CodeIgniter developers are dedicated professionally and technically qualified. Any modification in the design of web applications and e-commerce as per the requirement and expectation of our clients is a hassle-free task. Our company offers dynamic and fully functional websites using CodeIgniter framework. High-level familiarity and experience help the company to render well documented, well structured and phenomenal web solutions and optimize speed. The team is updated with the latest features of PHP framework and provide genuine and result oriented web applications. WebAppMate offers an advanced CMS system that provides them the facility to operate multiple websites just using a single back-end code engine. This competitive advantage is provided with the assistance of CodeIgniter framework. User friendly search engine URL’s and full page catching. Complete client satisfaction and full assistance. Hassle free migration from server to server.